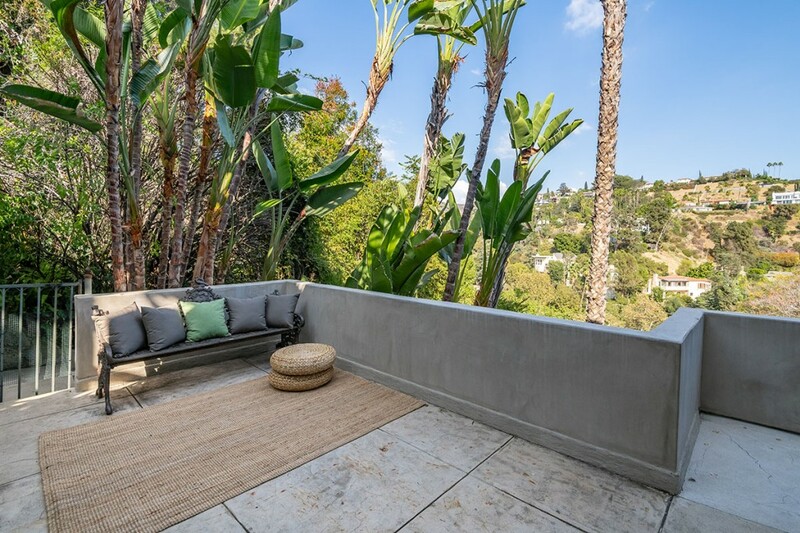 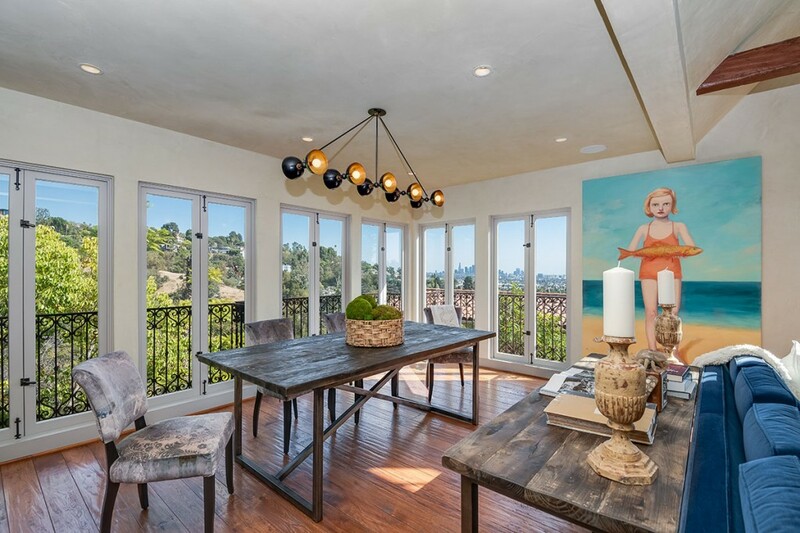 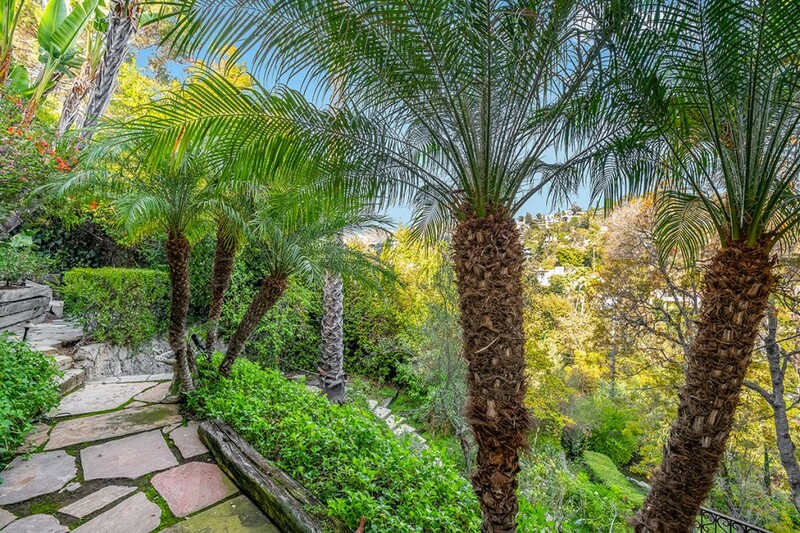 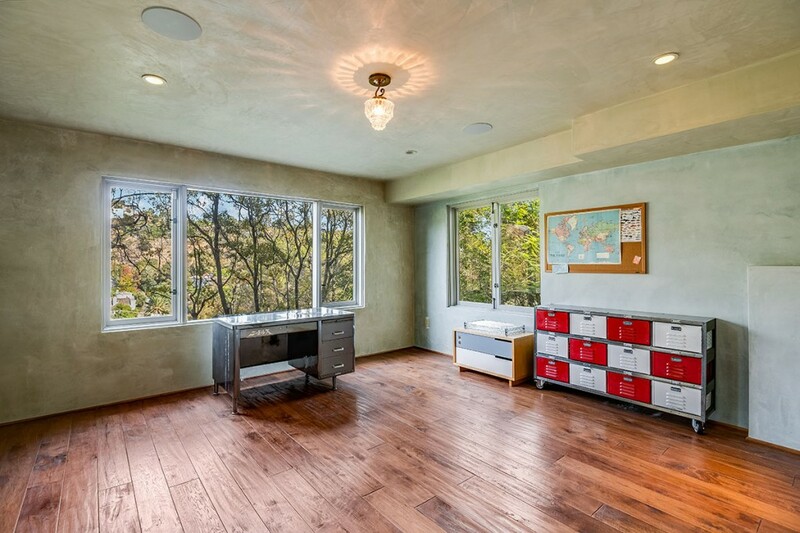 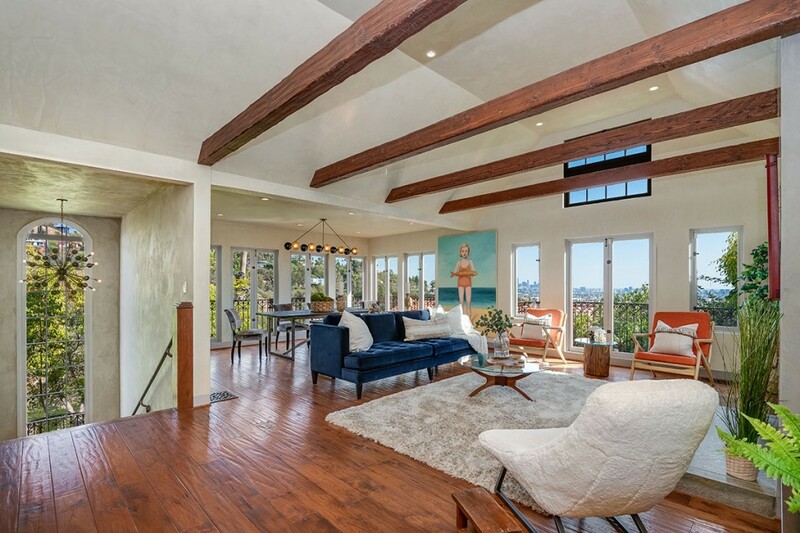 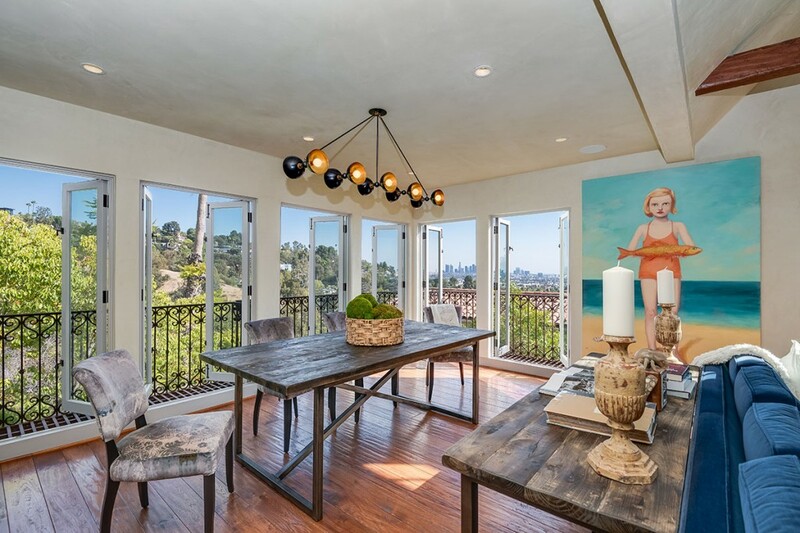 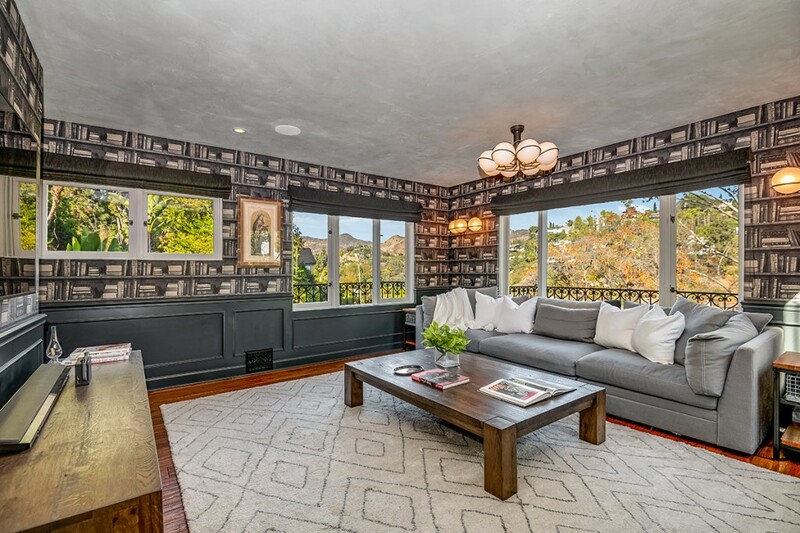 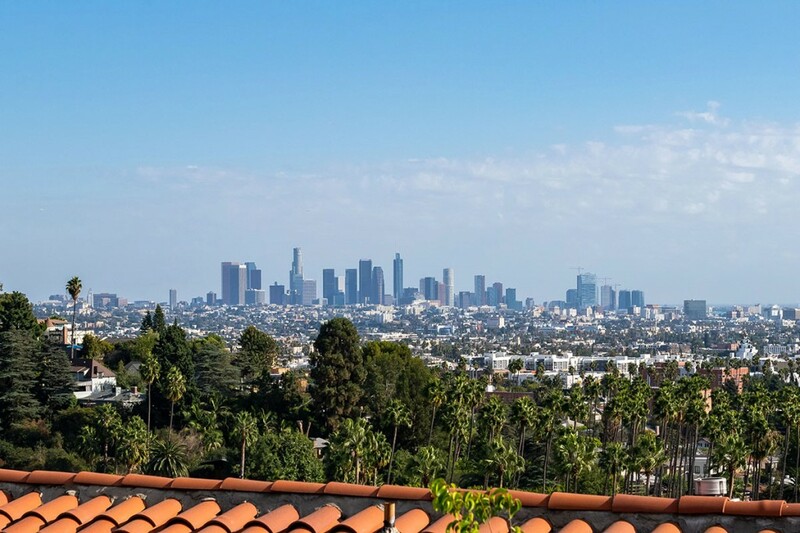 Hip Hollywood Hills Home with views! 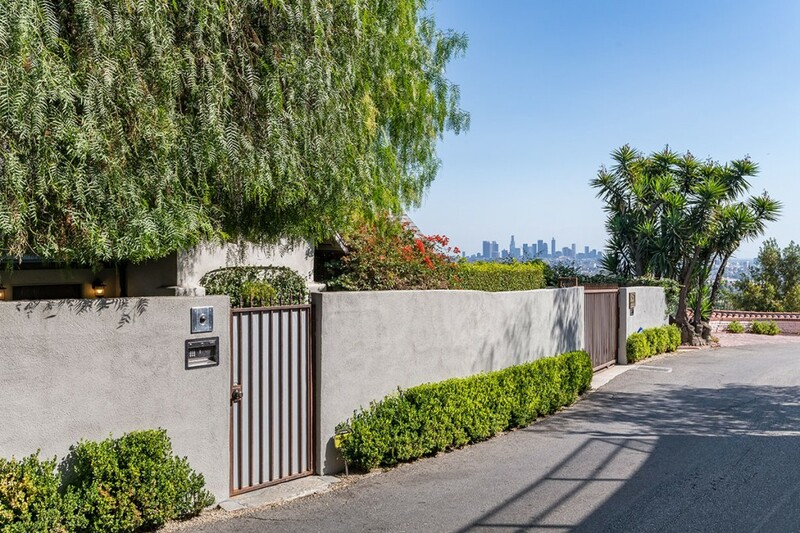 Gated and private, this formerly celebrity-owned estate is an entertainer’s paradise, offering many spaces to host and impress guests. 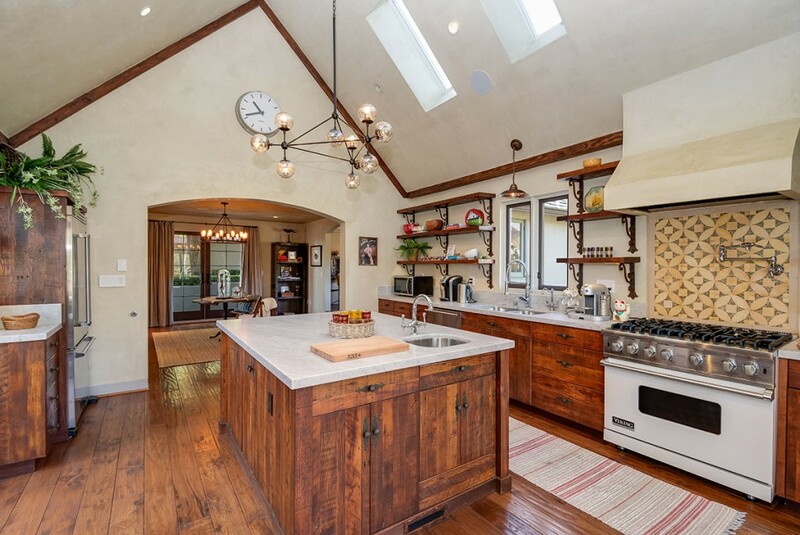 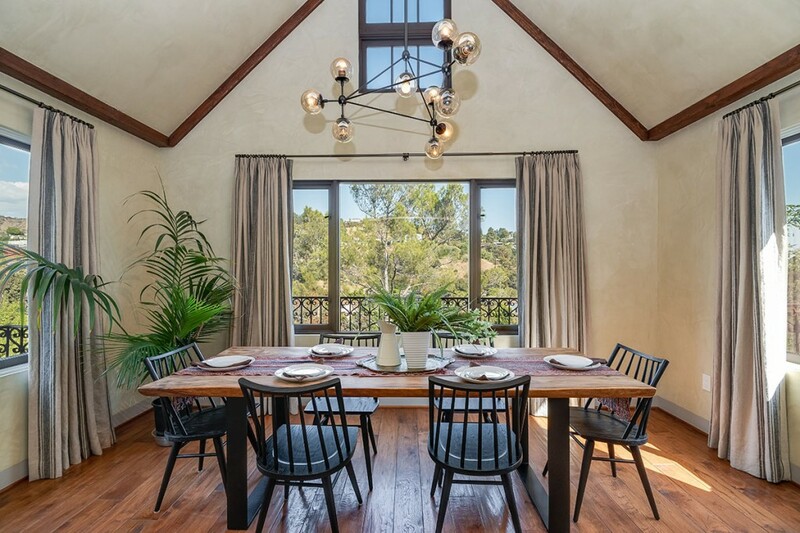 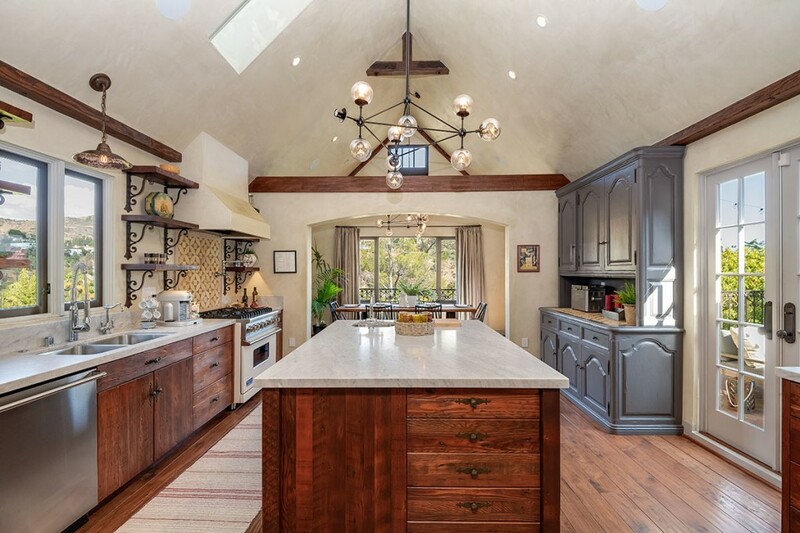 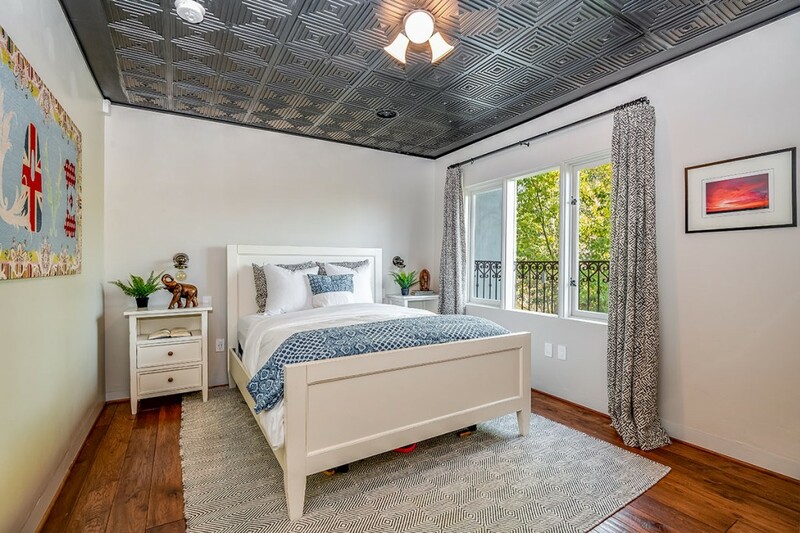 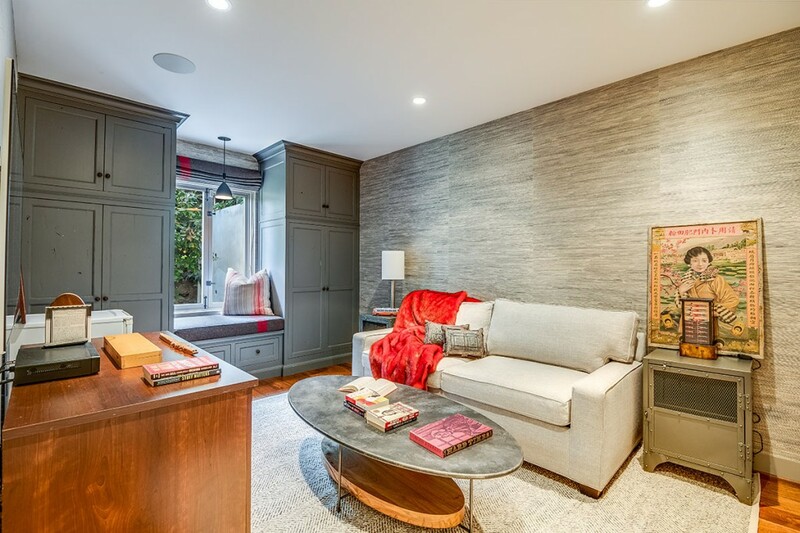 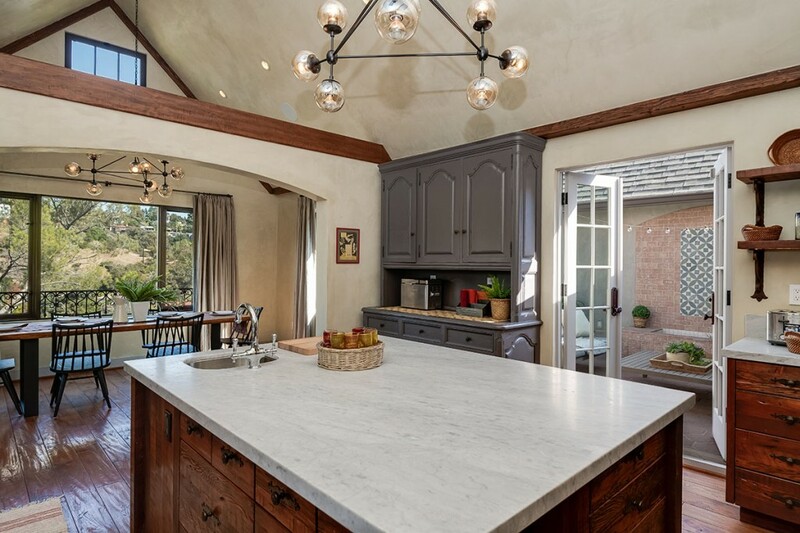 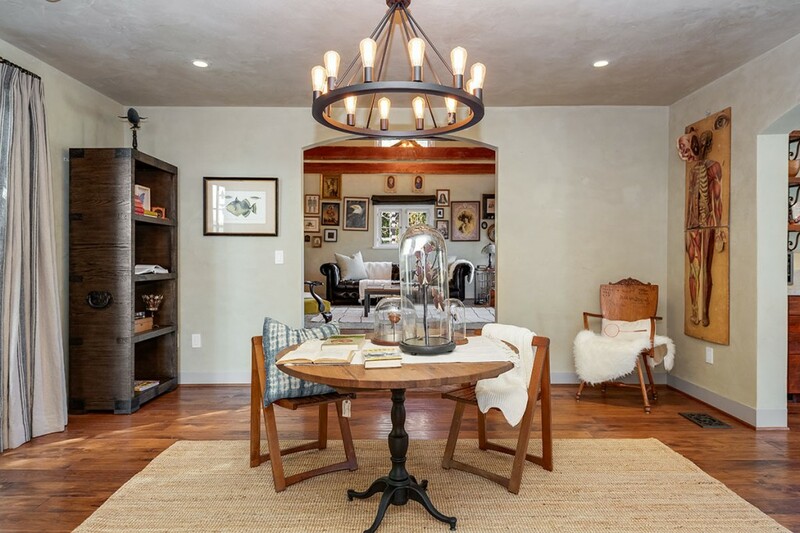 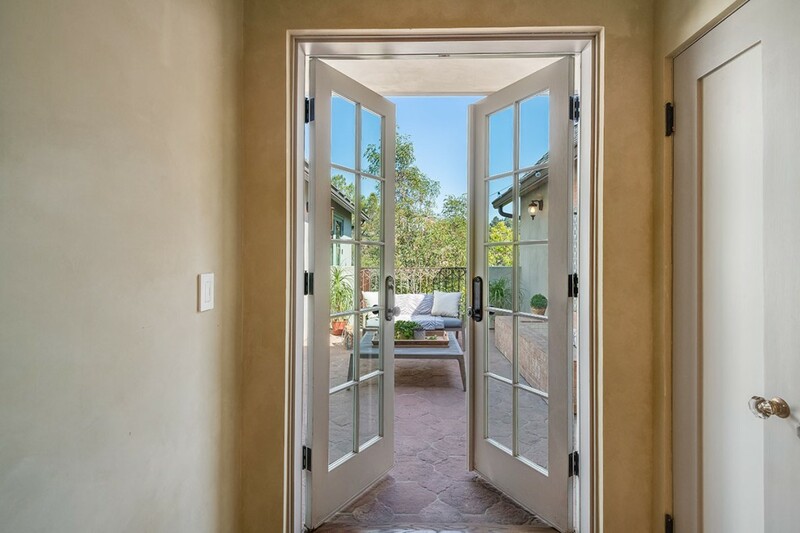 With classic features like the vaulted ceilings with wooden beams, wrought-iron balconies, terracotta tile, hardwood floors, charm and character blend harmoniously with the modern upgrades including the smart home tech and designer-done style updates. 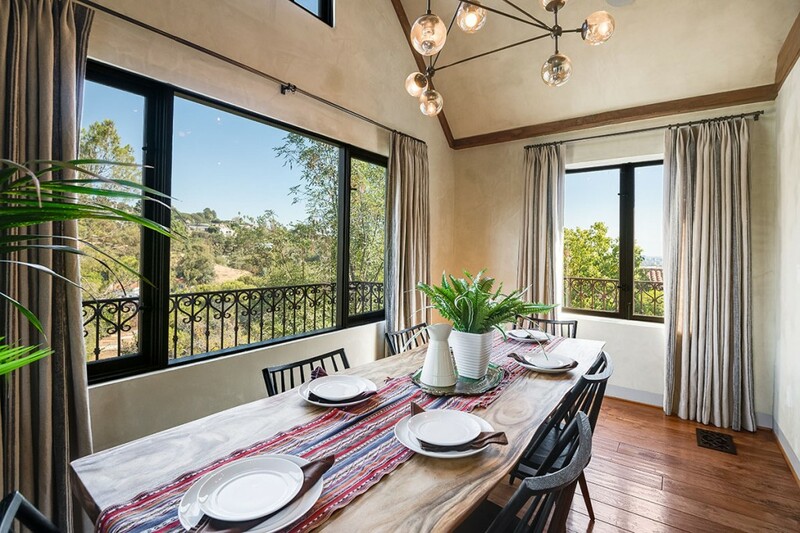 The main level offers a voluminous formal living room with fireplace and views of downtown, formal dining room, beautiful chef’s kitchen with marble countertops and high-end appliances, large breakfast room, family room with loft, powder room, and patio. 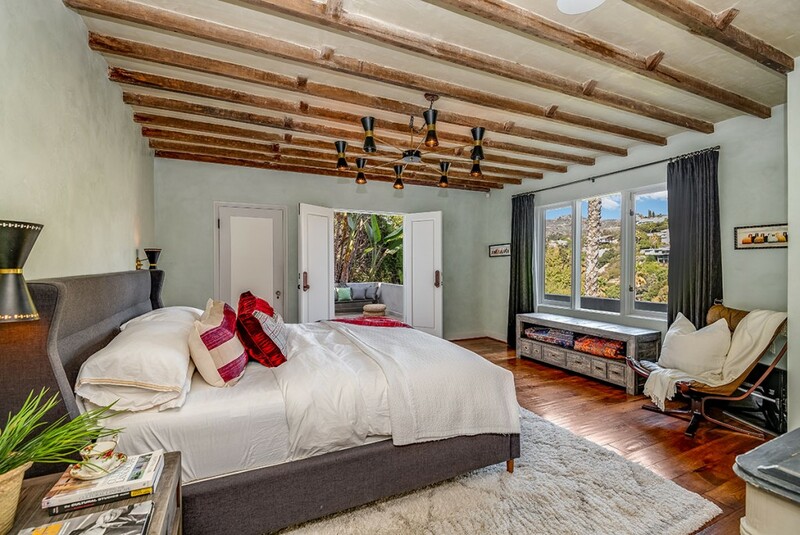 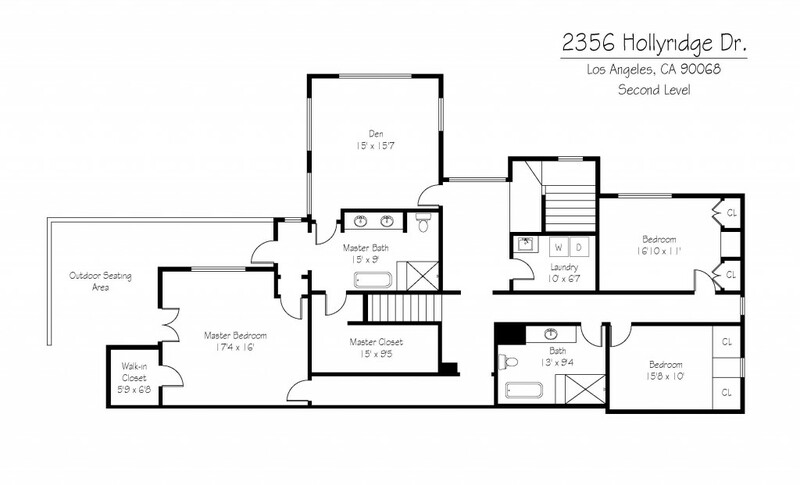 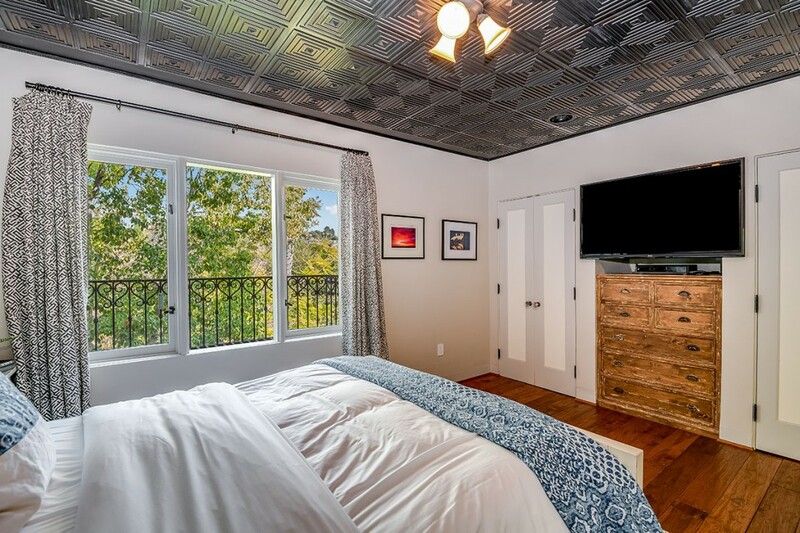 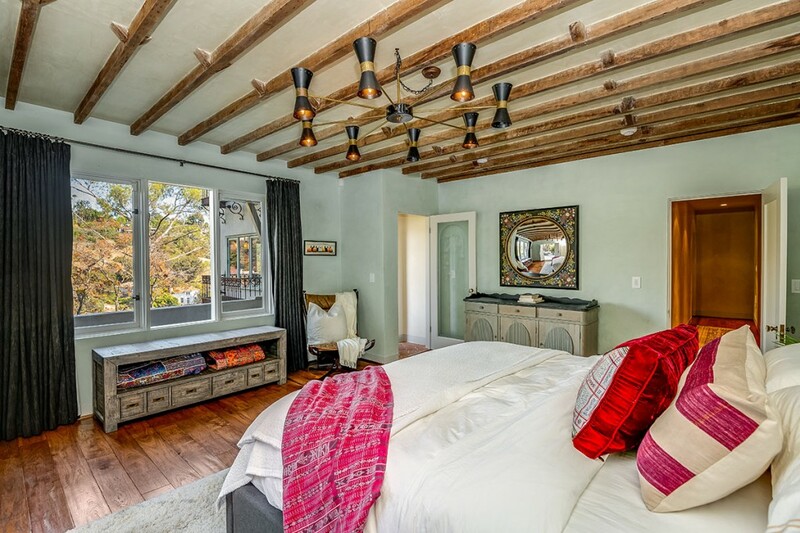 The bedrooms are found on the 2nd level, including the master suite with den/office, walk-in closet and patio. 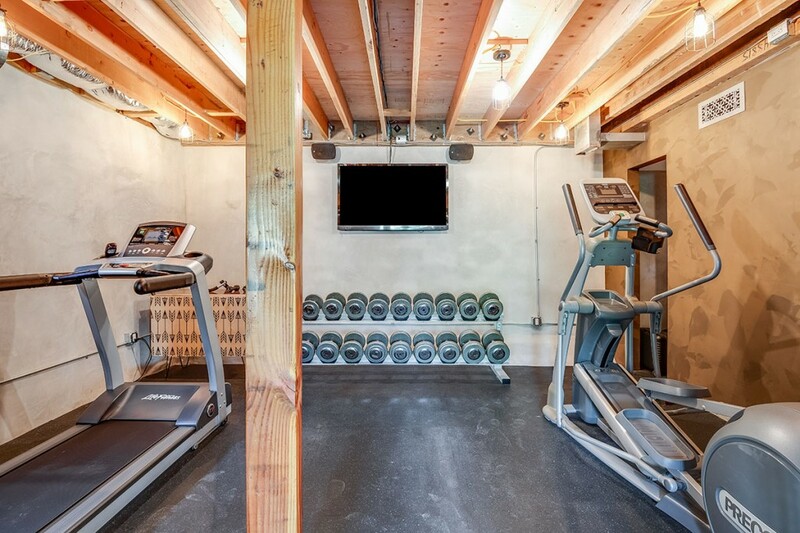 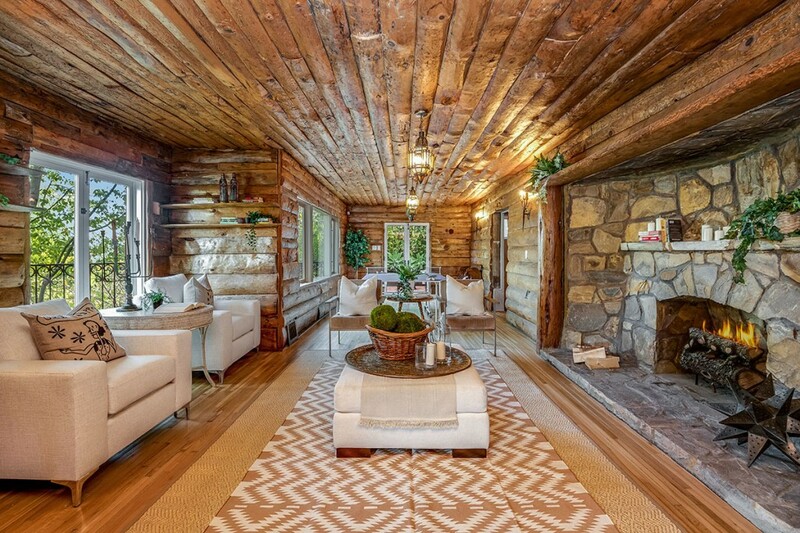 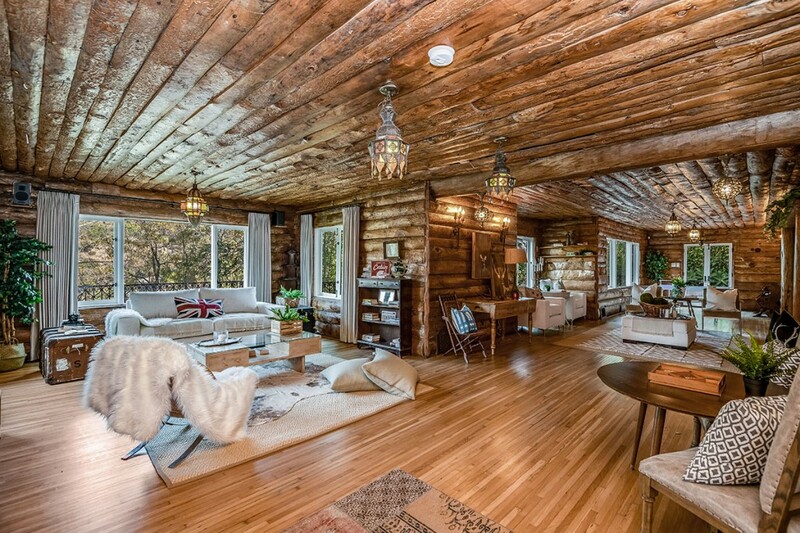 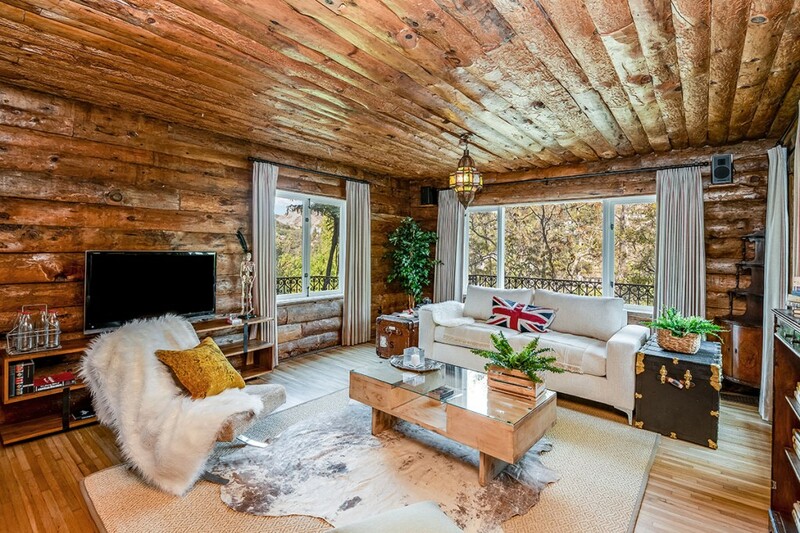 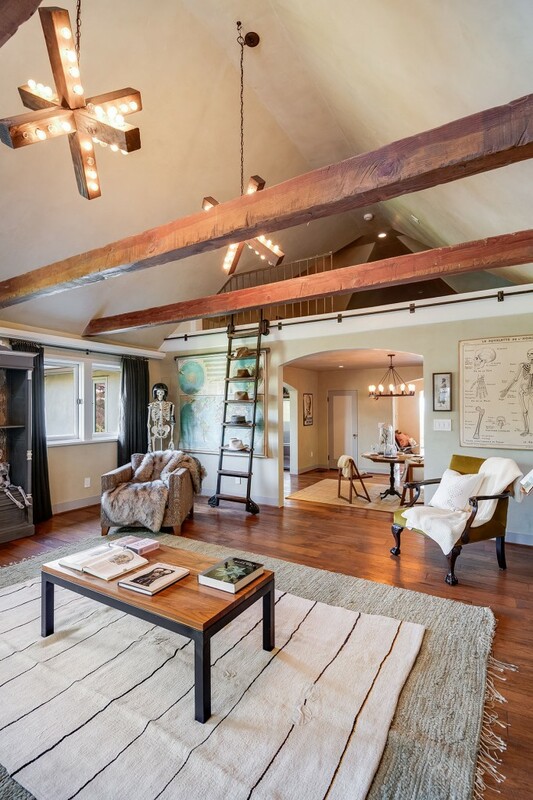 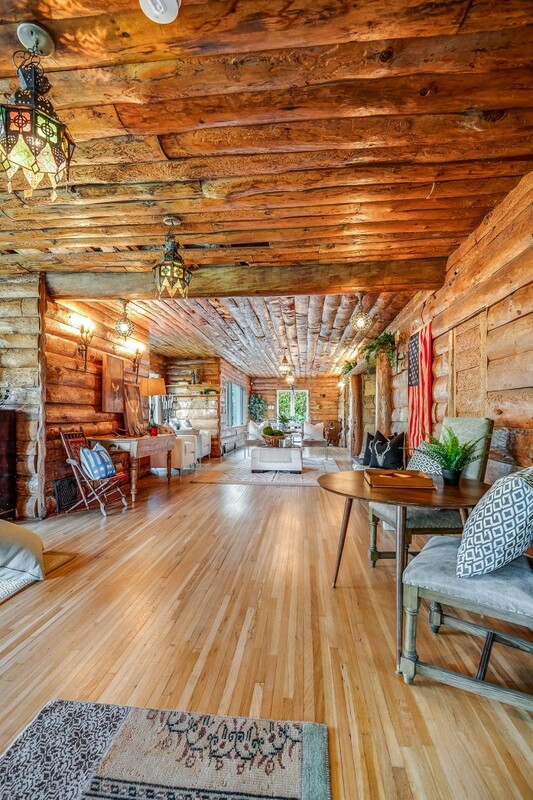 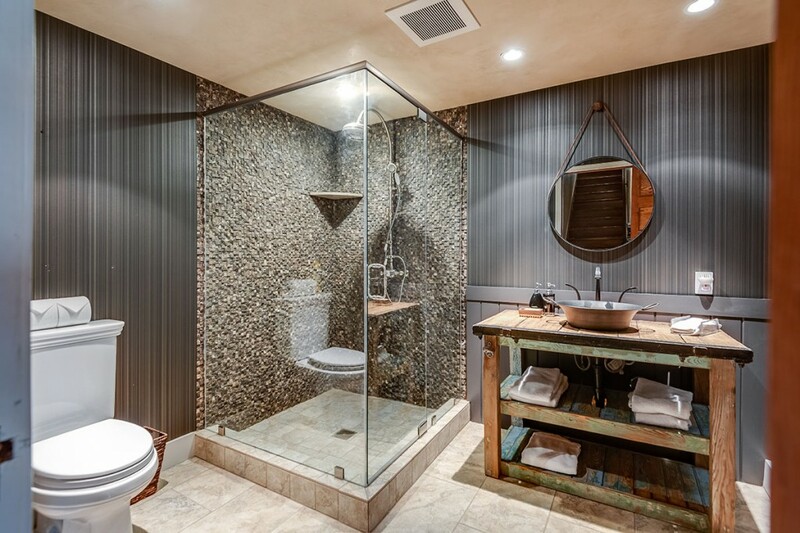 The 3rd level houses a spectacular original log cabin with massive stone fireplace, bathroom, and gym, while a separate studio can be found on the 4th floor. 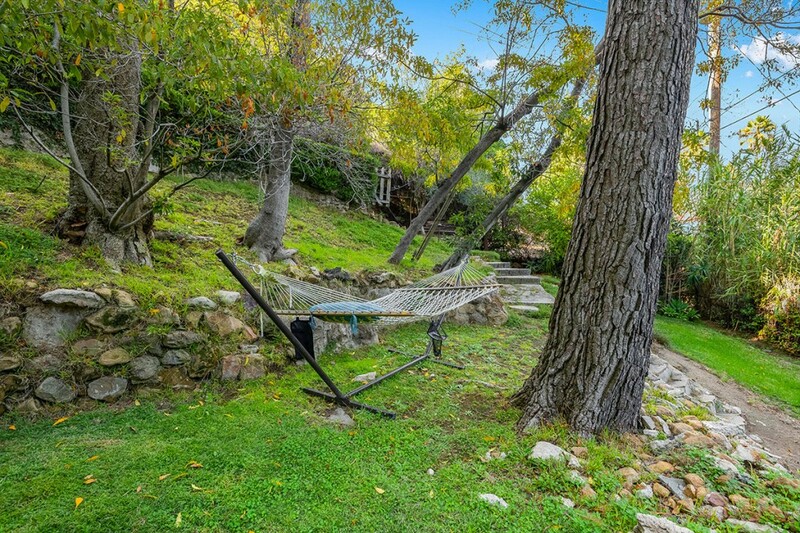 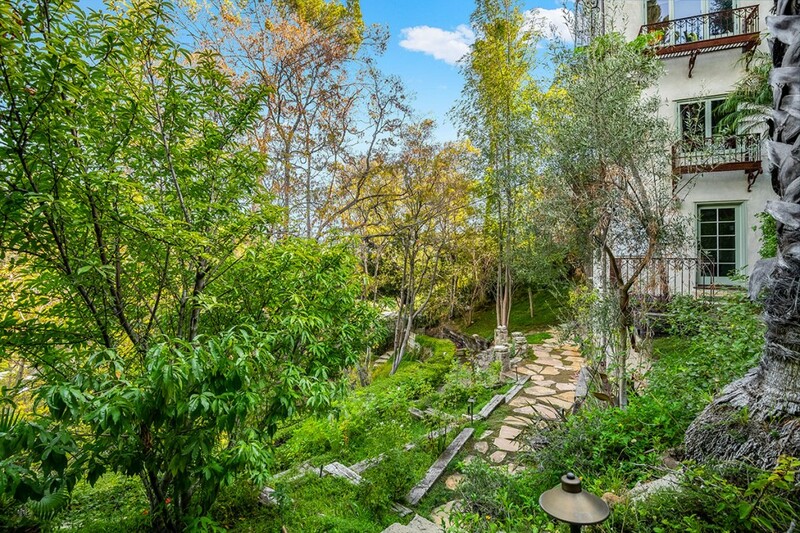 The lush setting is magical; the backyard offers park-like grounds with meandering paths and room for a pool. 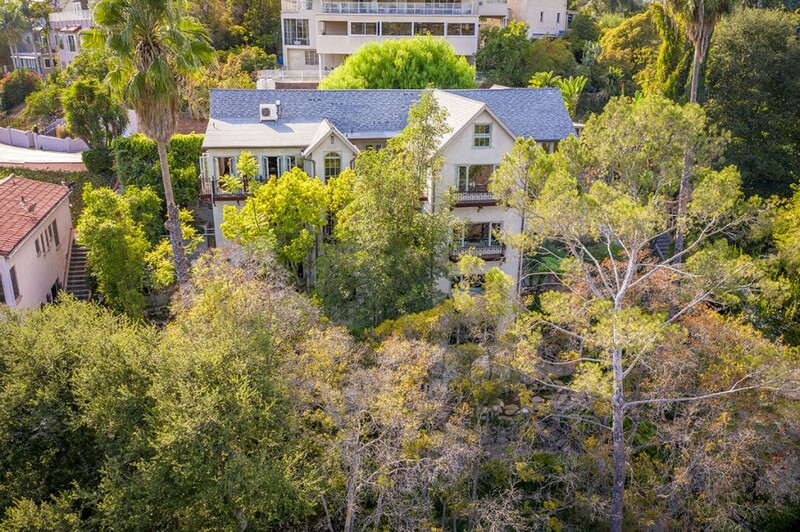 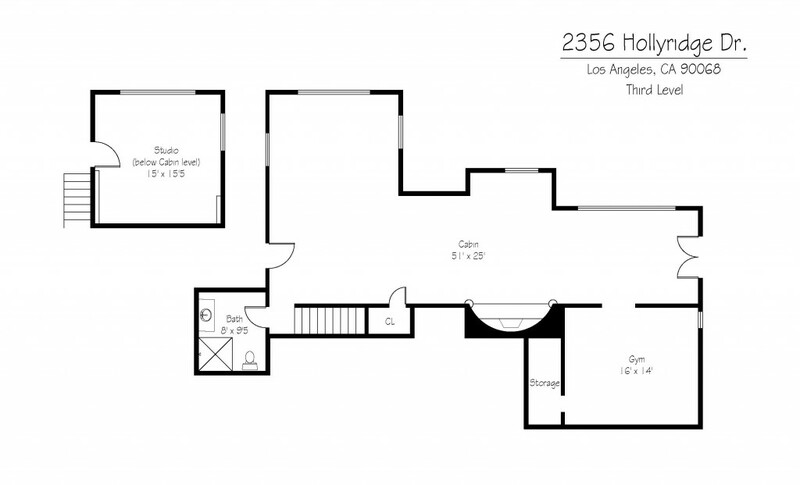 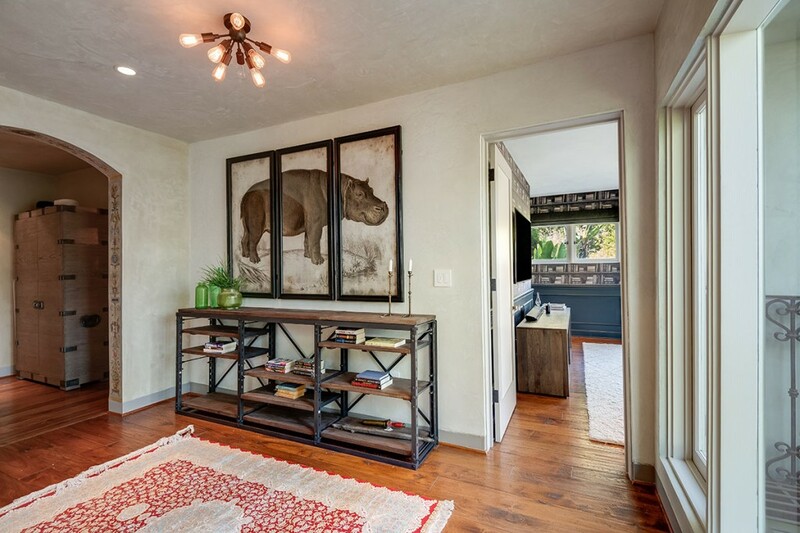 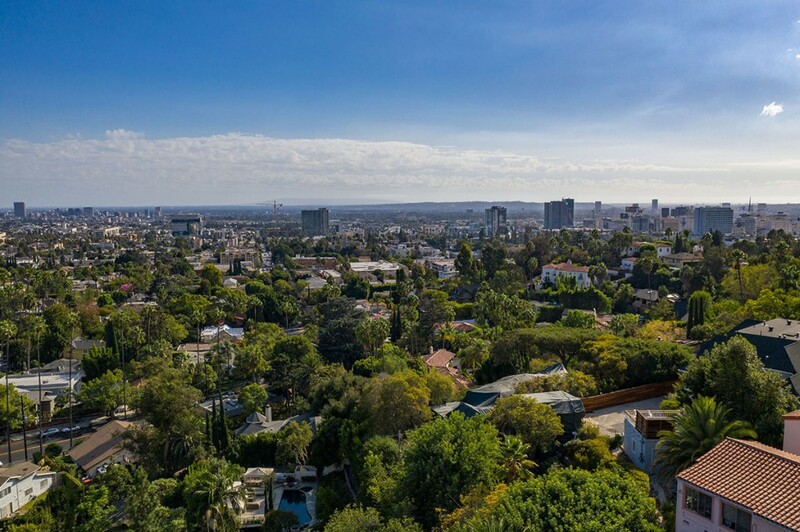 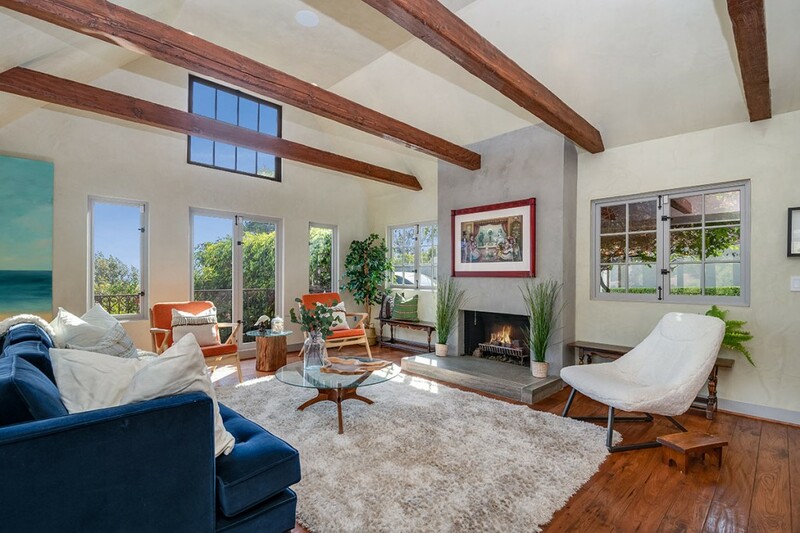 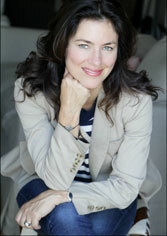 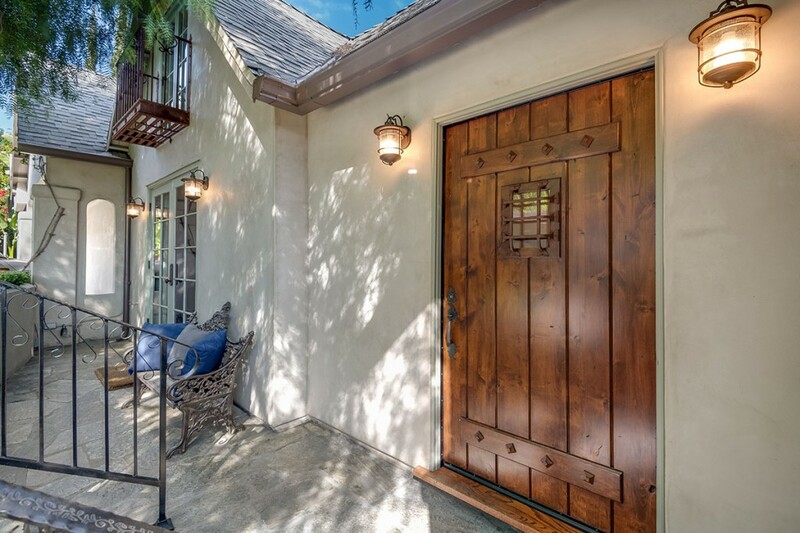 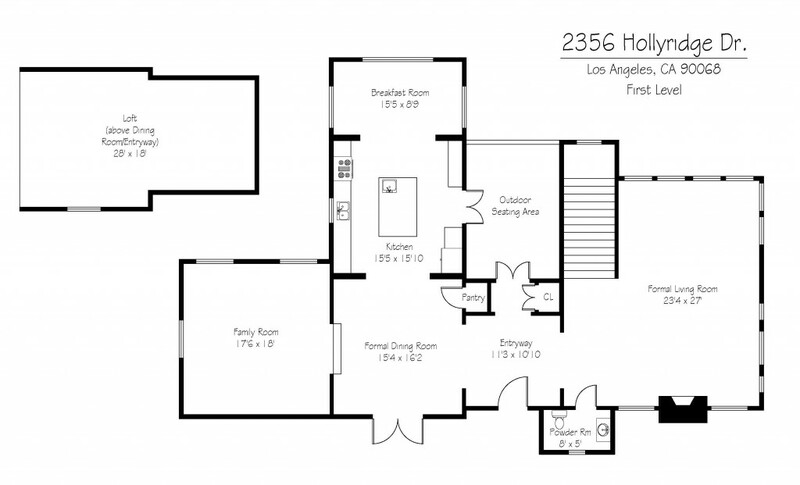 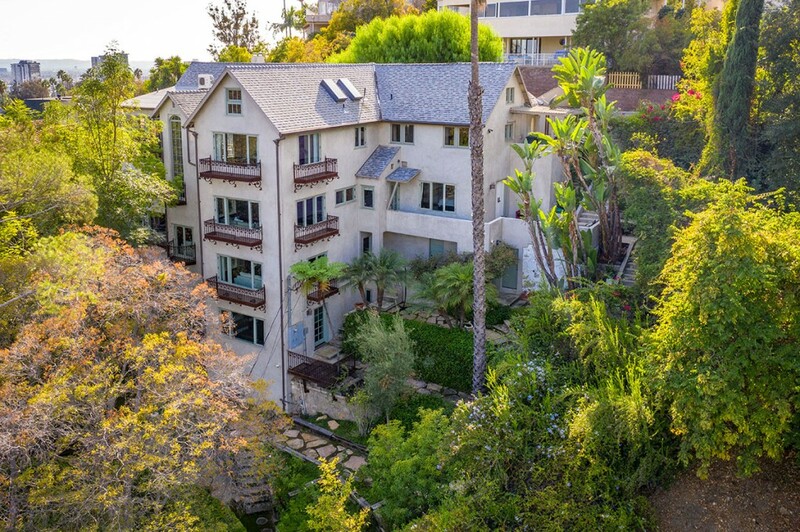 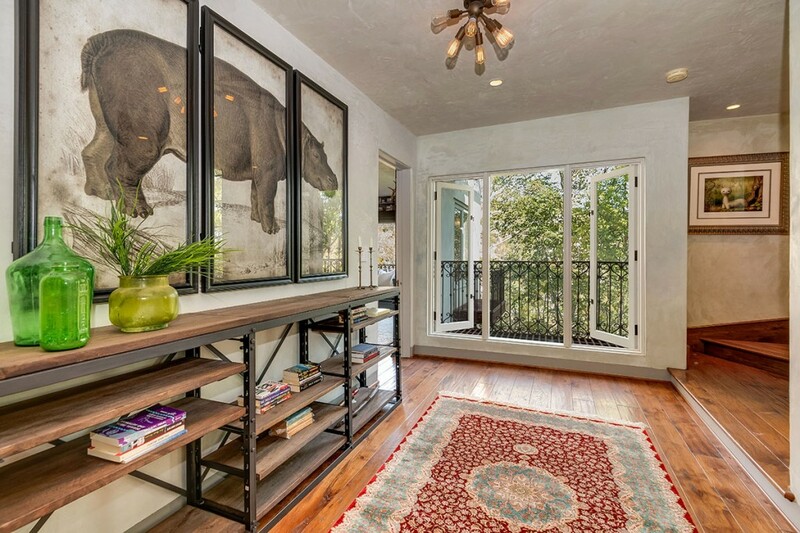 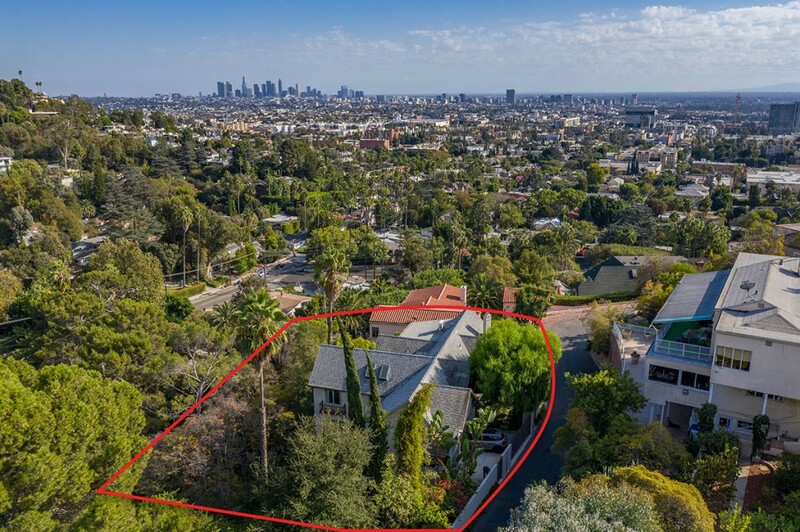 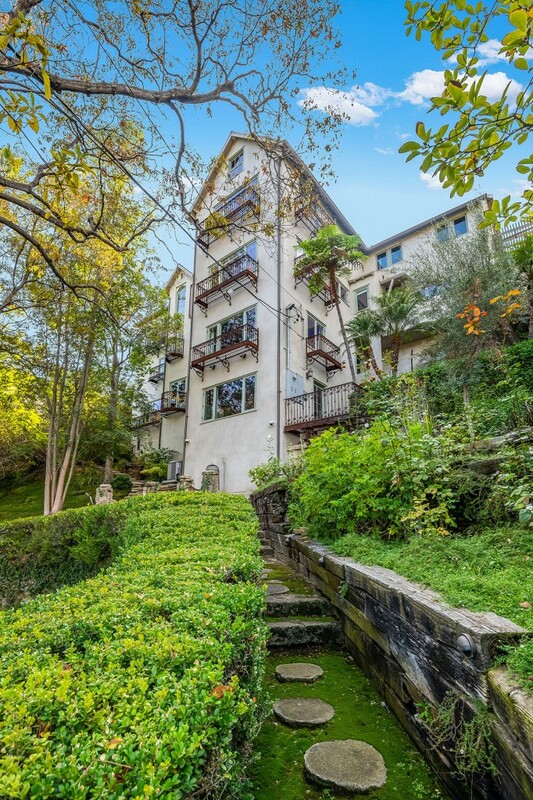 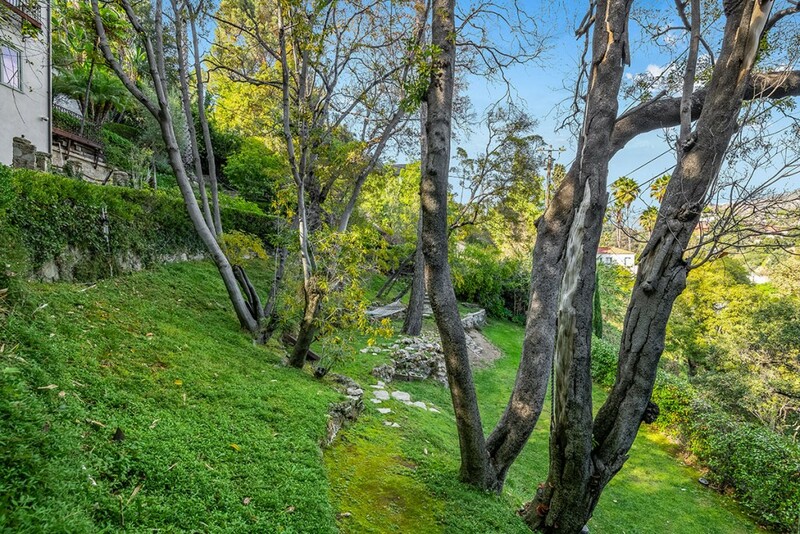 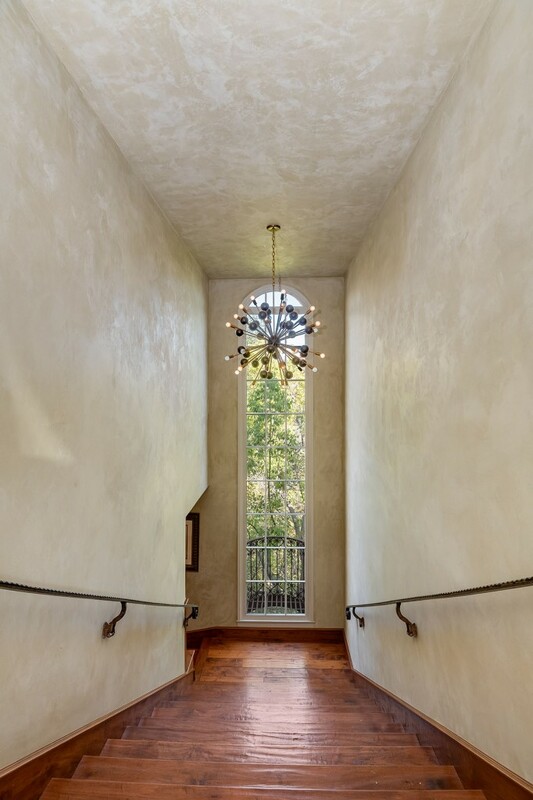 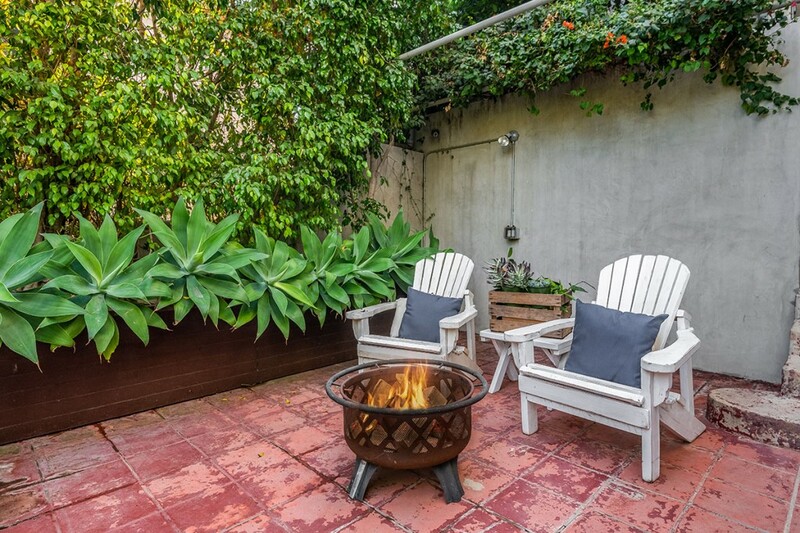 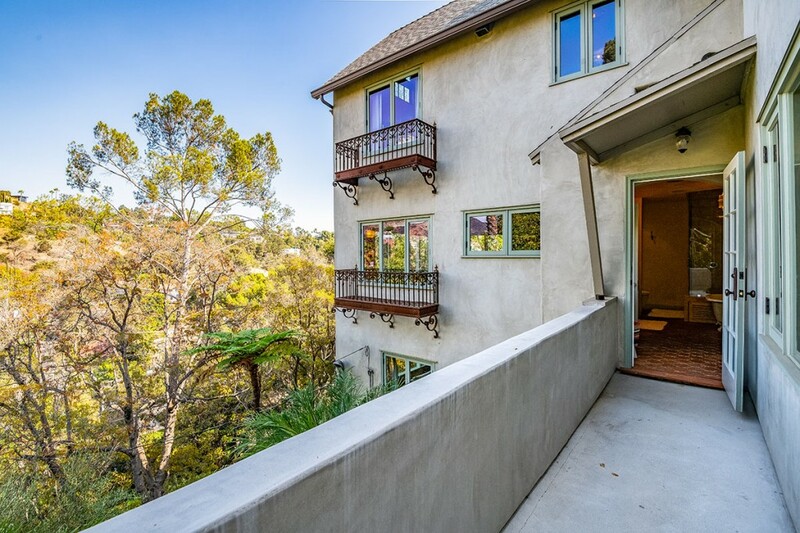 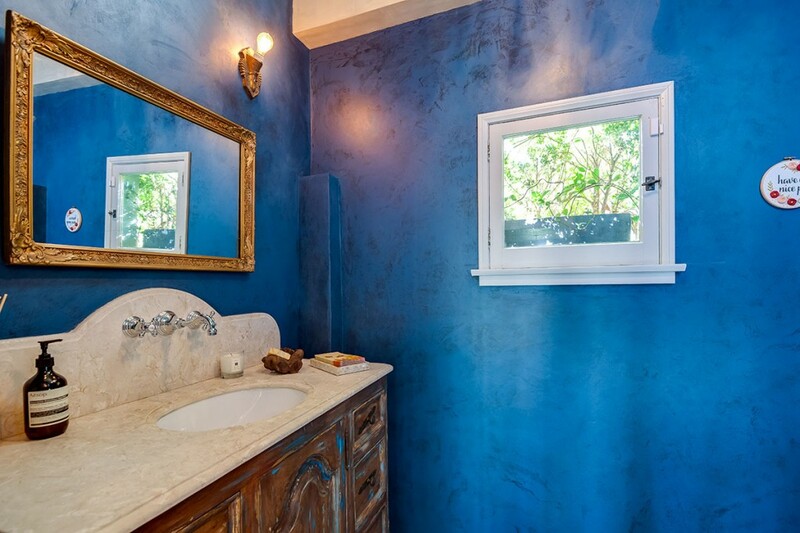 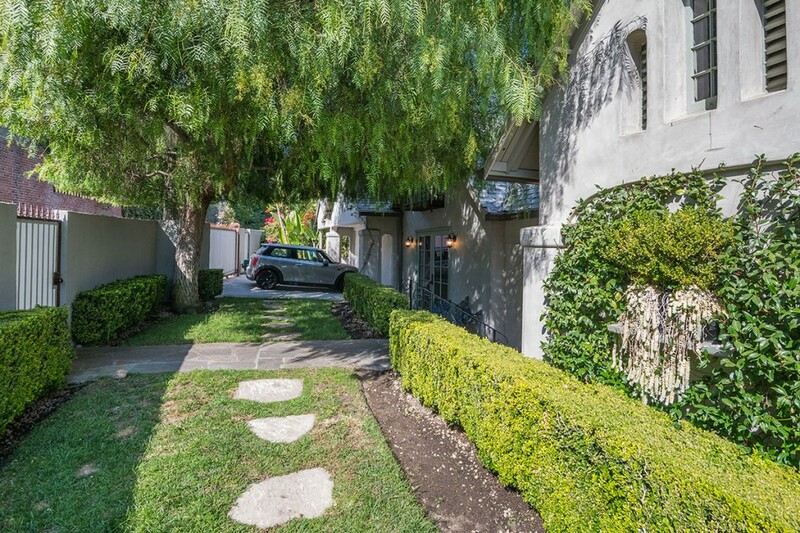 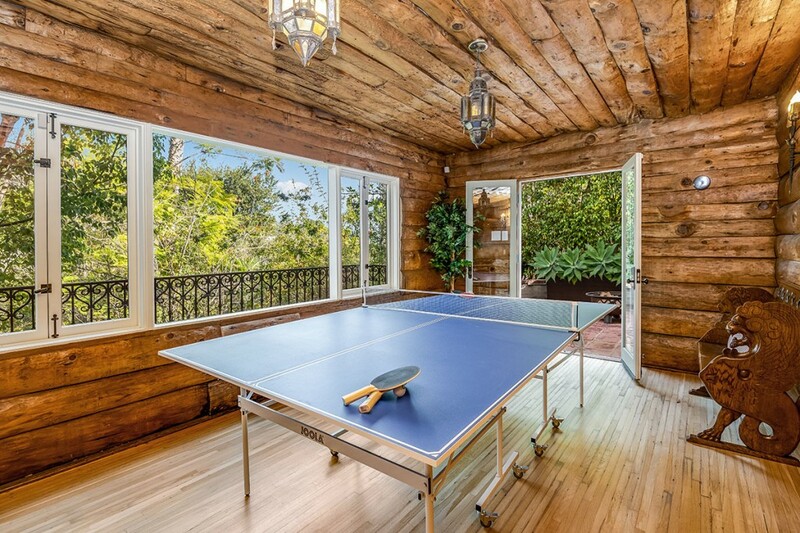 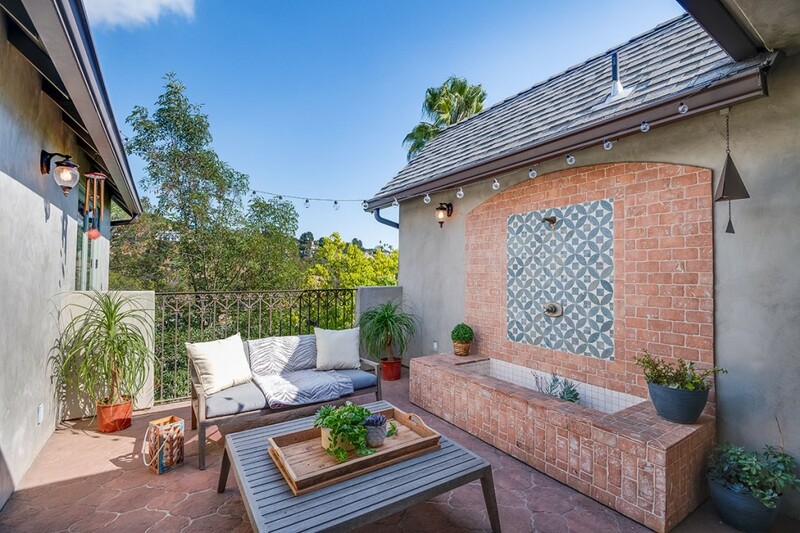 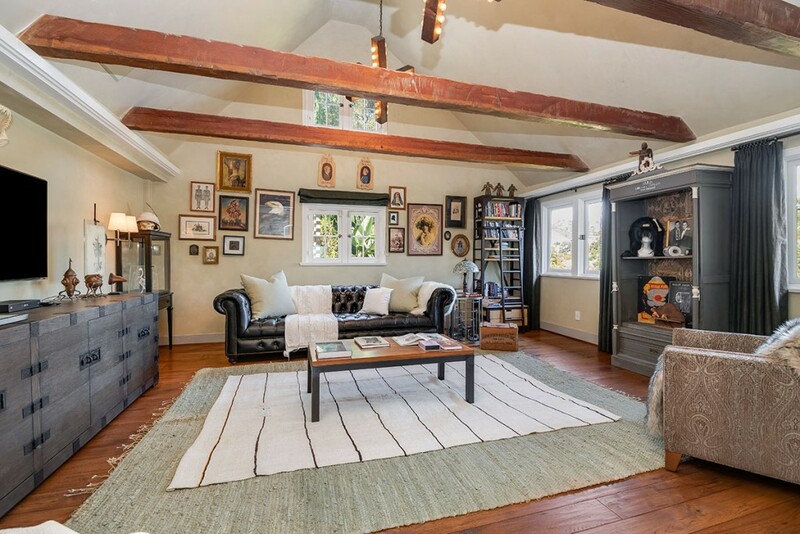 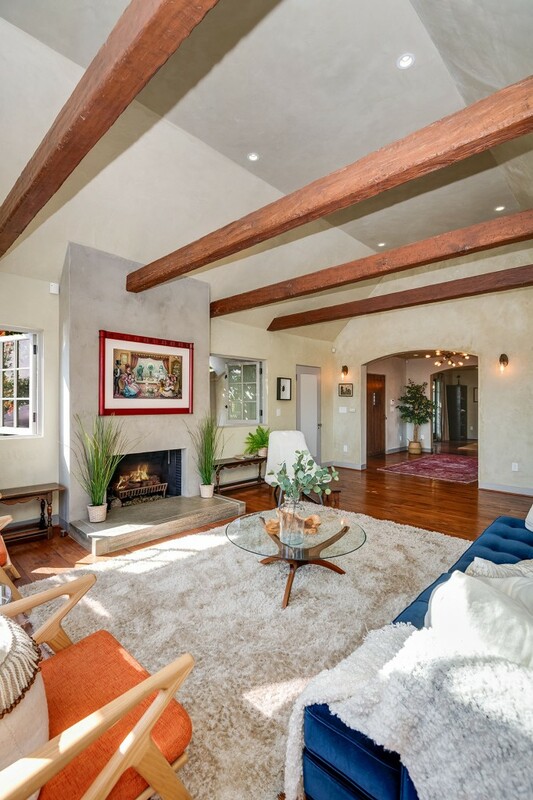 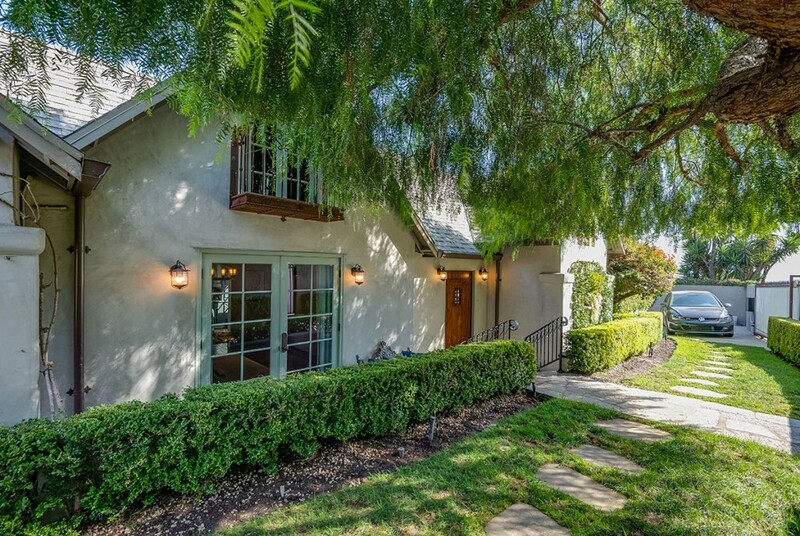 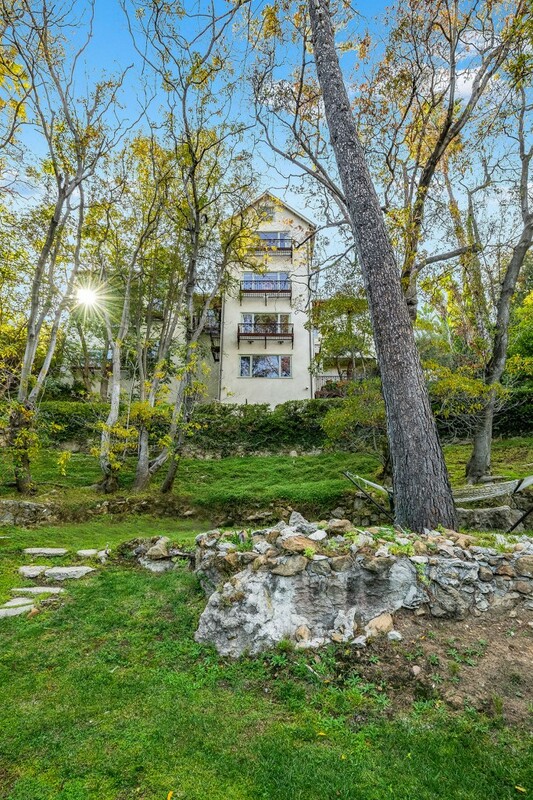 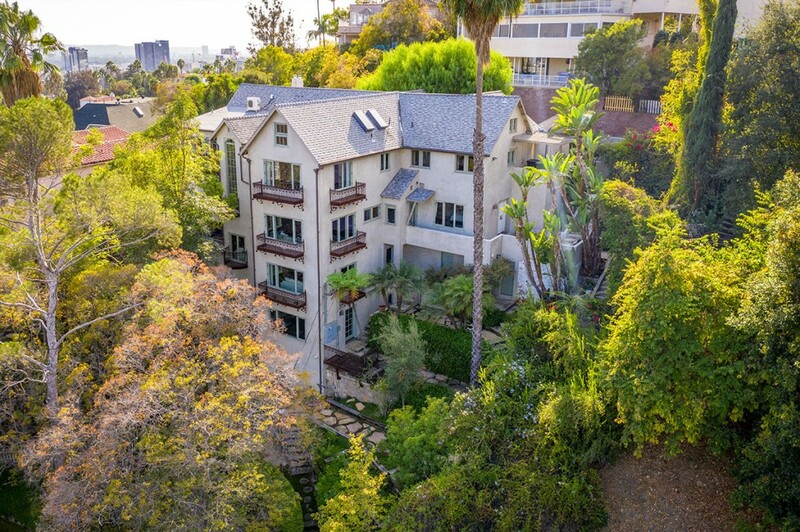 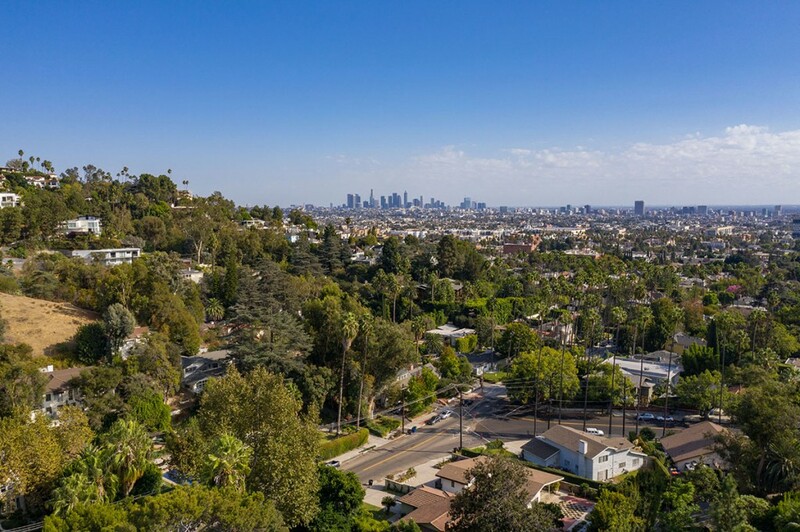 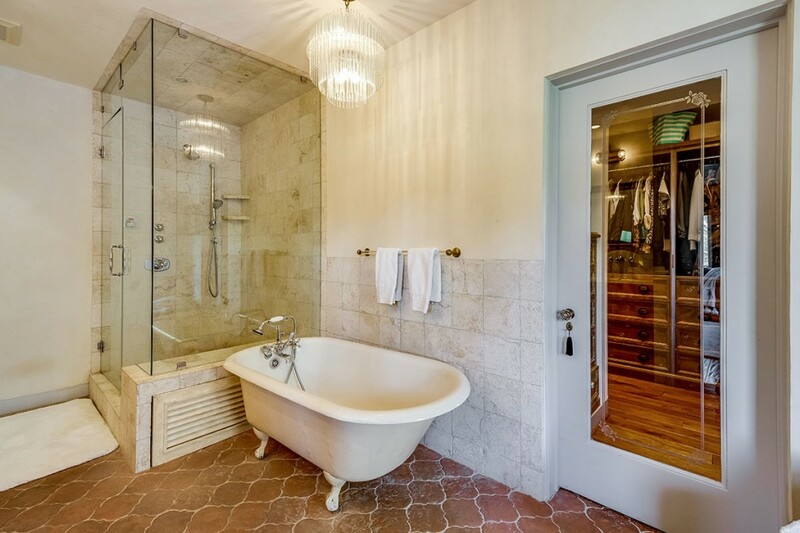 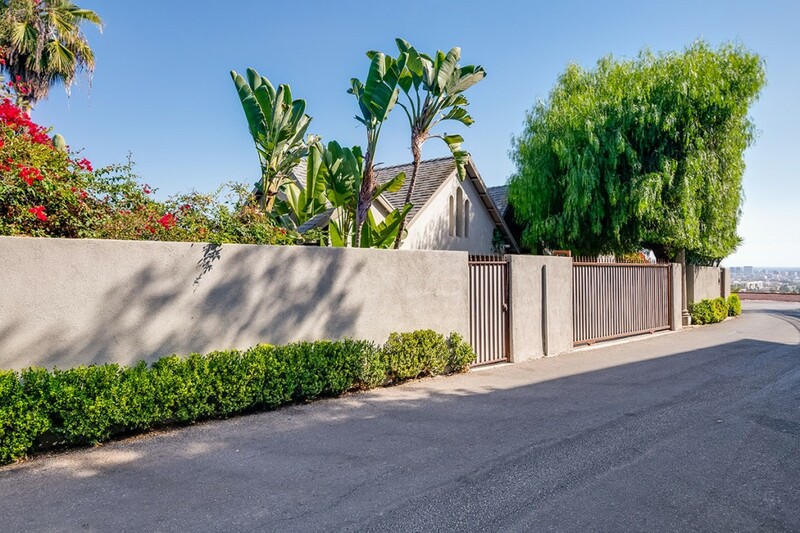 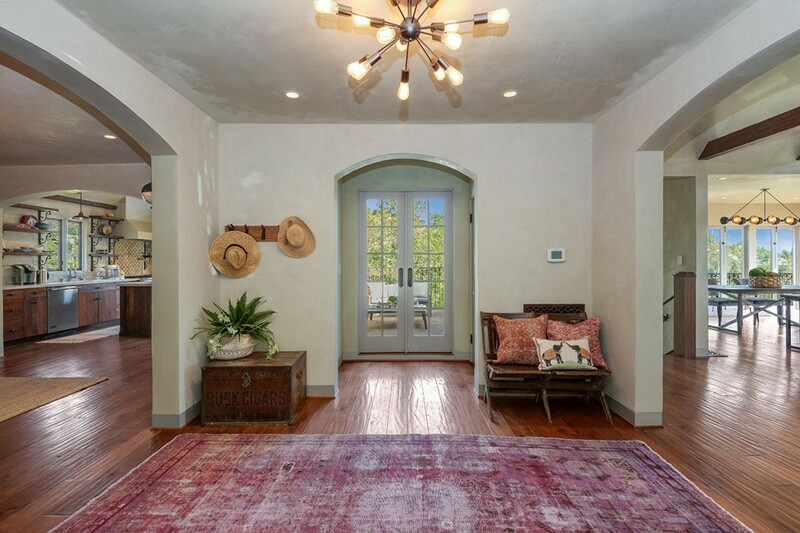 Great location between Beachwood and Bronson Canyons, near Franklin Village, Griffith Park, Los Feliz and Hollywood.